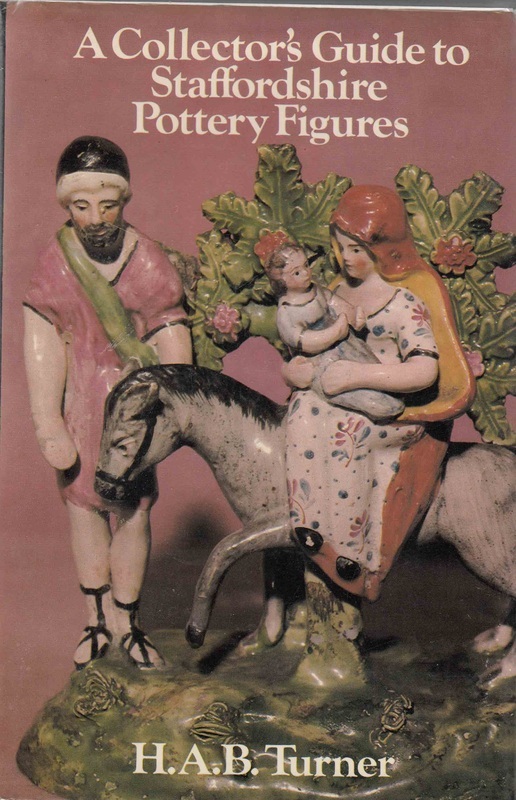 Victorian Staffordshire Pottery Religious Figures. Stephen Duckworth. 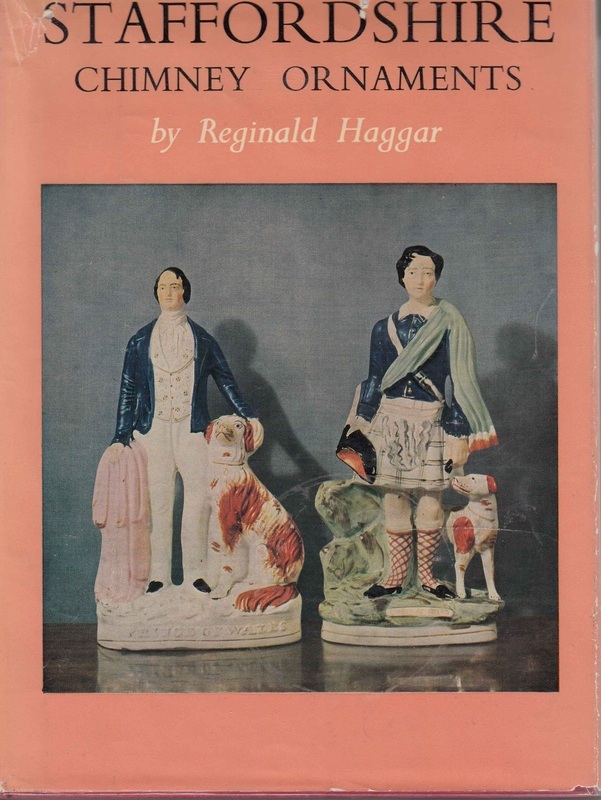 Holding the Past: The William Herbert and Nancy Hunt Collection of Early English Pottery Figures. Myrna Schkolne. 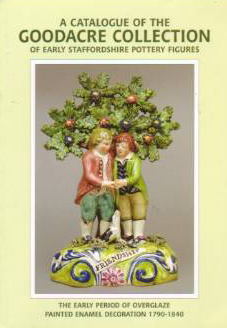 Staffordshire Figures 1780 -1840, Vol. 2. Myrna Schkolne. 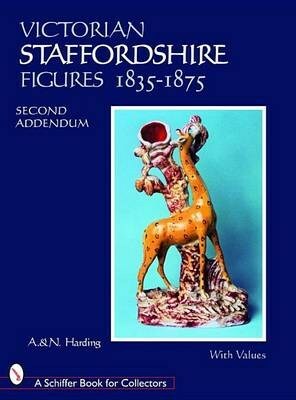 Staffordshire Figures 1780 -1840, Vol. 3. Myrna Schkolne. 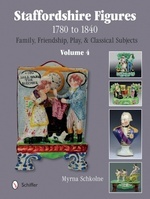 People, Passions, Pastimes, and Pleasures: Staffordshire Figures 1780-1840. Myrna Schkolne. 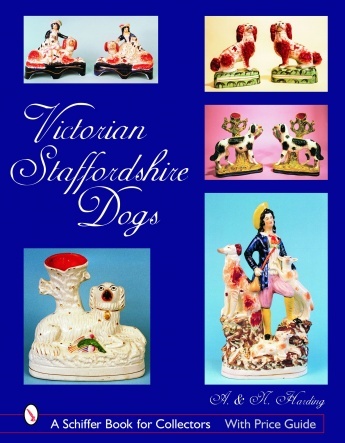 Victorian Staffordshire Figures Dogs. A. & N. Harding. Sherratt? 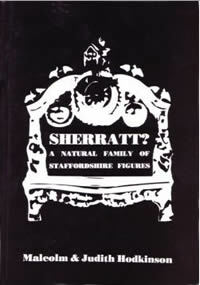 A Natural Family of Staffordshire Potters. Malcolm & Judith Hodkinson. 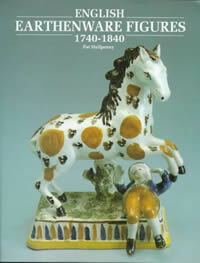 A Catalogue of the Goodacre Collection of Early Staffordshire Pottery Figures. Michael Goodacre. 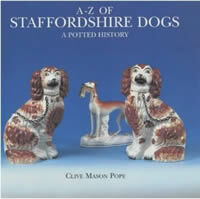 A-Z of Staffordshire Dogs. Clive Mason Pope. 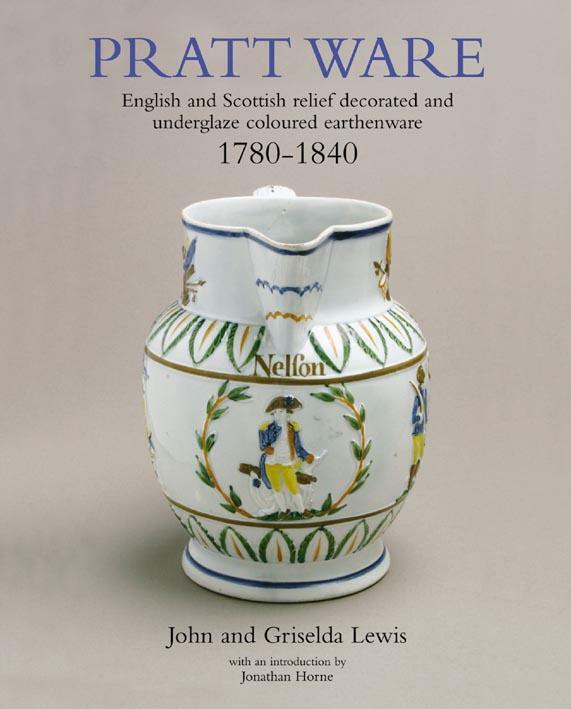 English Earthenware FiIgures 1740-1840. Pat Halfpenny. 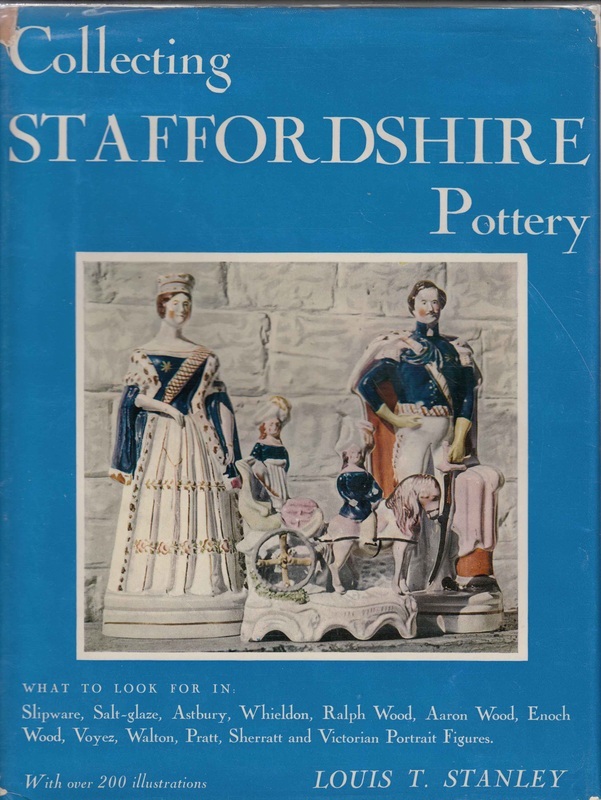 Staffordshire Pottery Figures. John Bedford. 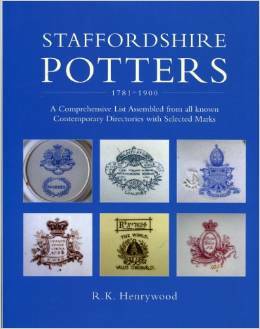 Staffordshire Potters 1781-1900: A Comprehensive List. R. K. Henrywood. Pratt Ware. John and Griselda Lewis. 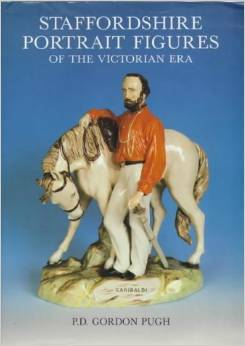 Staffordshire Portrait Figures of the Victorian Age. P. D. Gordon Pugh. 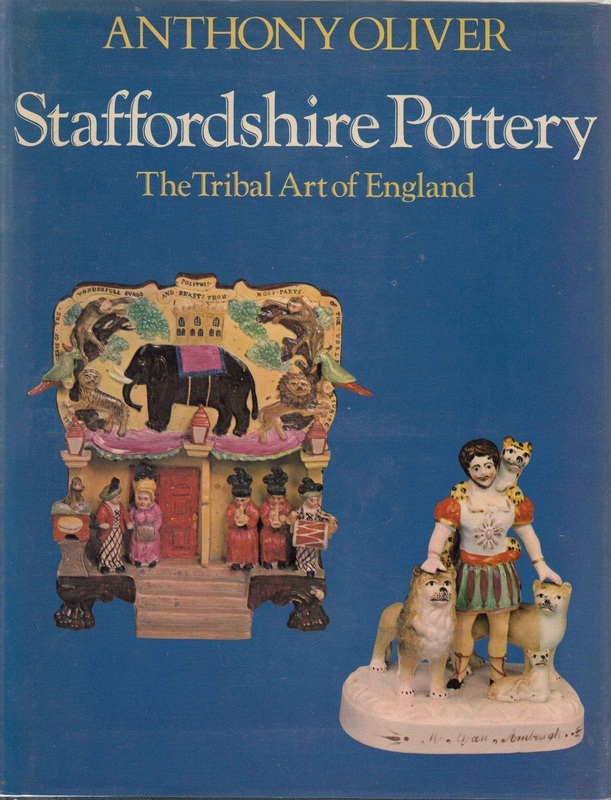 Staffordshire Pottery: the Tribal Art of England. Anthony Oliver. 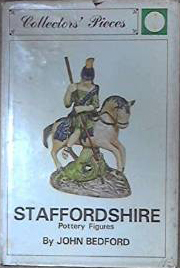 The Victorian Staffordshire Figure. Anthony Oliver. 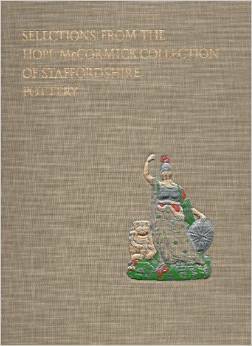 Selections from the Hope McCormick Collection of Staffordshire Pottery. Emily Manheim. 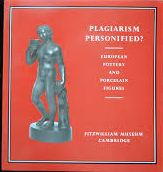 English Pottery, 1650-1800: The Henry H. Weldon Collection. Leslie Grigsby. 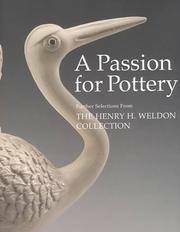 A Passion for Pottery: the Henry H. Weldon Collection. Peter Williams and Pat Halfpenny. 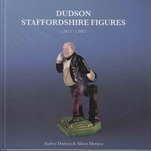 Dudson Staffordshire Figures. Audrey Dudson and Alison Morgan. 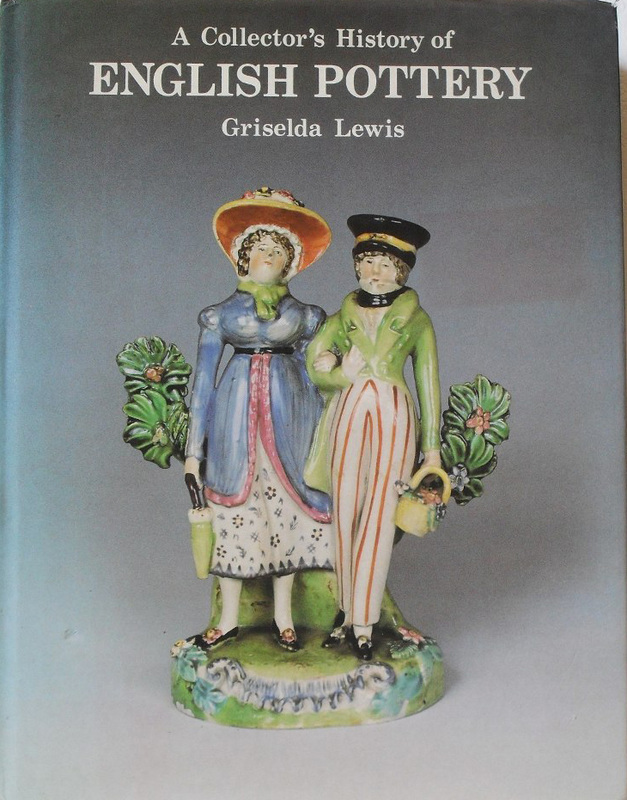 A Collector's History of English Pottery. Griselda Lewis. 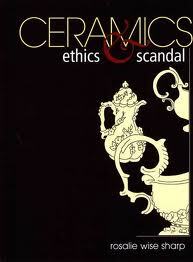 Ceramics, Ethics & Scandal. Rosalie Wise Sharp. 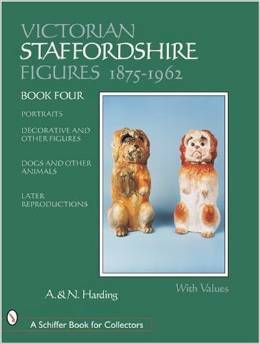 Staffordshire Portrait Figures. 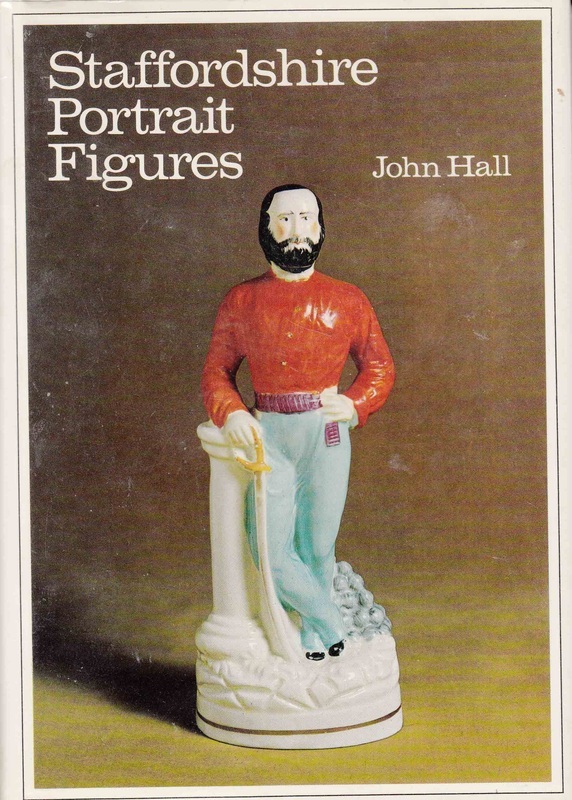 John Hall. 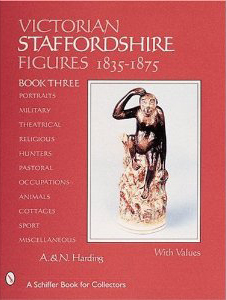 A Collector's Guide to Staffordshire Pottery Figures. H. A. B. Turner. 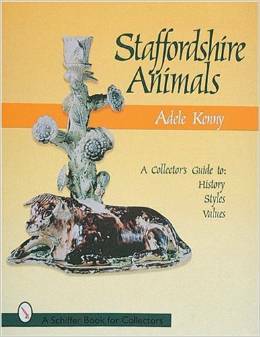 Staffordshire Chimney Ornaments. Reginald Haggar. 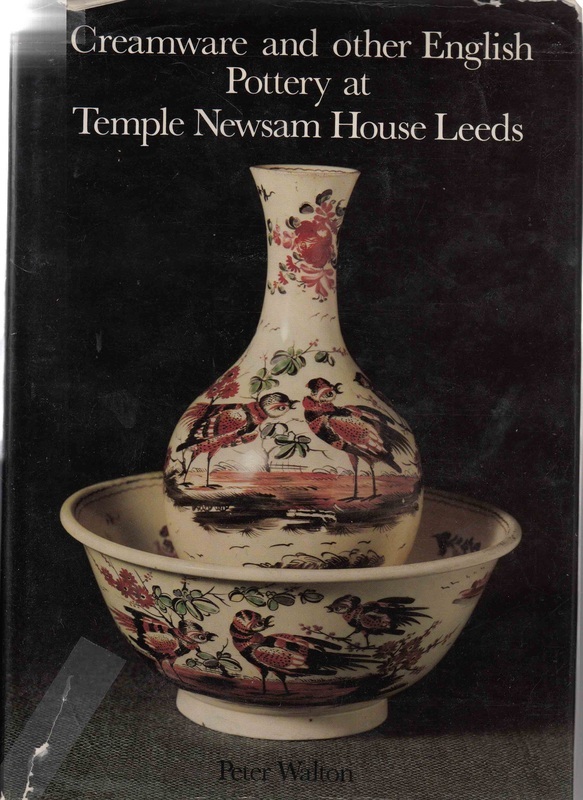 Creamware and other English Pottery at Temple Newsam Hose Leeds. Peter Walton. 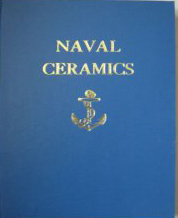 Naval Ceramics. P. D. Gordon Pugh. 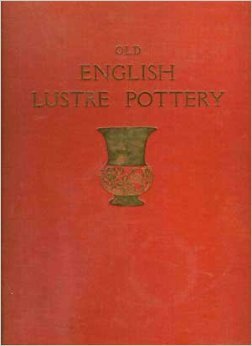 Old English Lustre Pottery. W. D. John, Warren Baker. Astbury, Whieldon & Ralph Wood figures &Toby Jugs. R. K. Price. 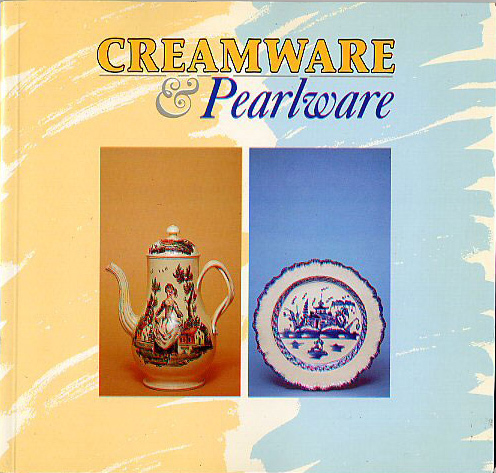 Creamware & Pearlware: Northern Ceramic Society Exhibition Catalogue. 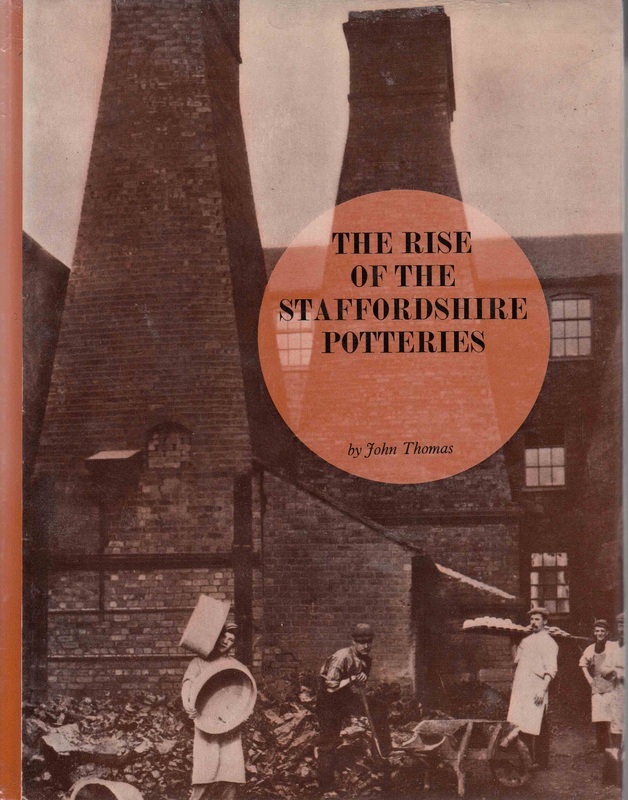 The Rise of the Staffordshire Potteries. John Thomas. 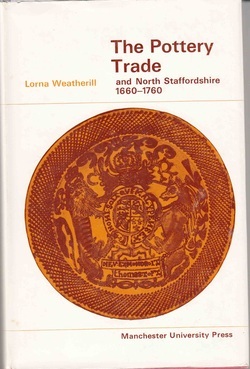 The Pottery Trade and NOrth Staffordshire 1660-1760. Lorna Weatherill. 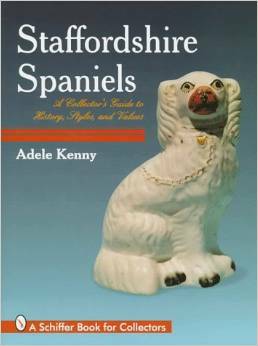 History of the Staffordshire Potteries. Simeon Shaw. 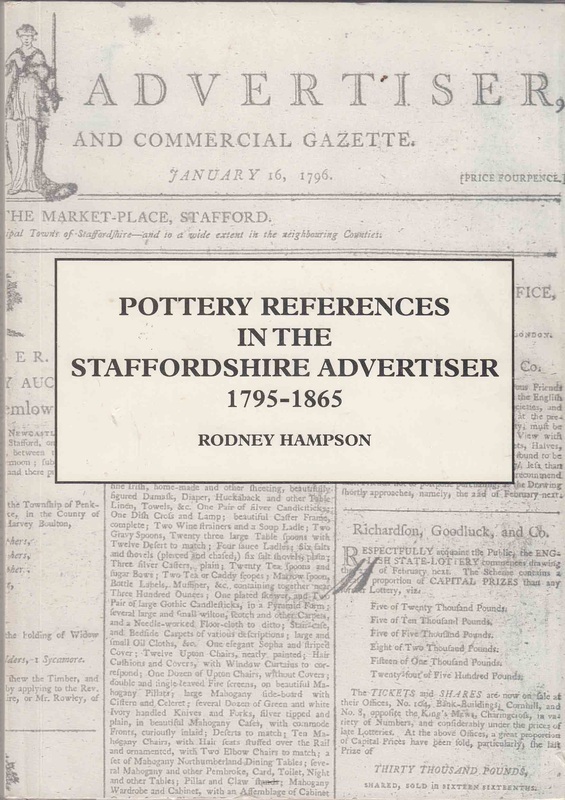 Pottery References in the Staffordshire Advertiser 1795-1865. Rodney Hampson. 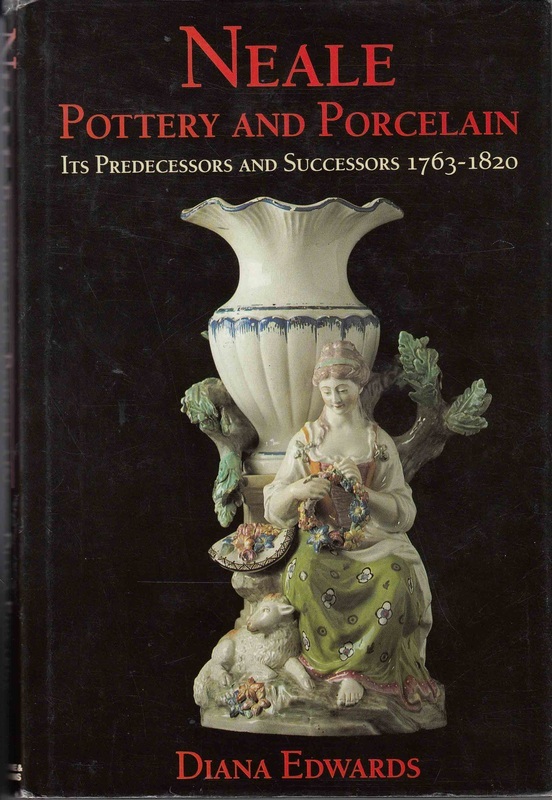 For over 20 years, Jonathan Horne's annual London Exhibition of the finest English pottery was accompanied by a printed catalogue. 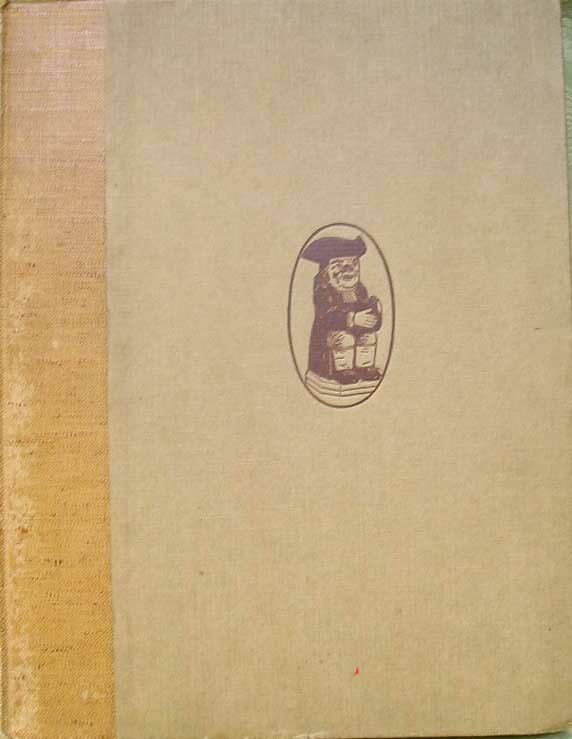 The first twenty catalogues are smaller in size and can be acquired in bound cased in sets of ten or singly. 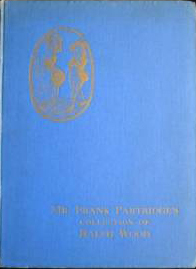 Catalogues from the final years (as shown here) can be bought as singles. 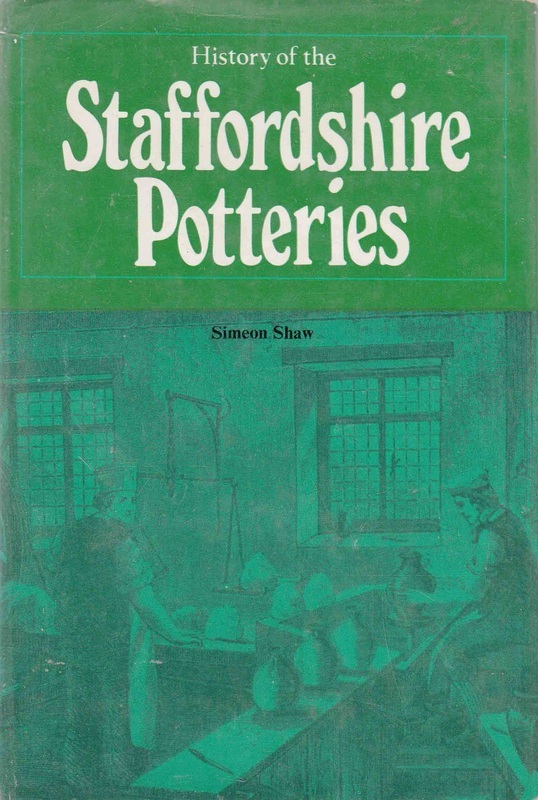 Copyhold Potworks and Housing in the Staffordshire Potteries 1700-1832. Peter Roden. Circus & Sport. Patricia Halfpenny and Stella Beddoe.